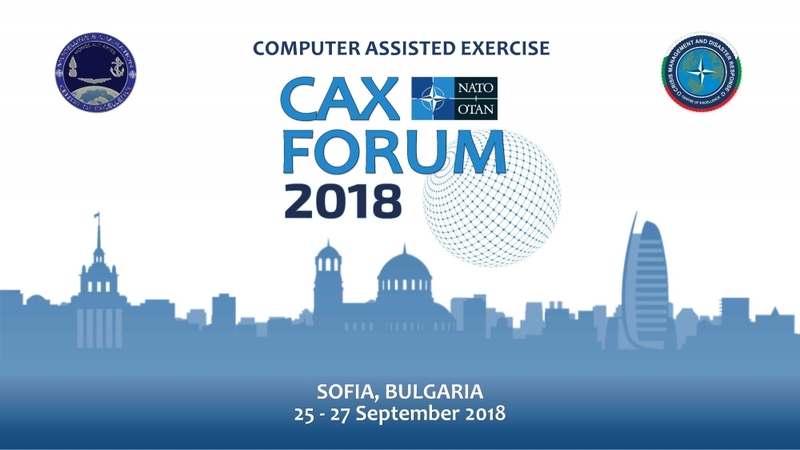 The 13th NATO Computer Assisted Exercise Forum (NATO CAX Forum 2018), organized by the NATO Modelling and Simulation Centre of Excellence (NATO M&S COE)in cooperation with the NATO Crisis Management and Disaster Response Centre of Excellence (CMDR COE),will take place from 25 to 27 September 2018 in Sofia (BGR), at the Grand Hotel Marinela. The 24th and the 28th September dedicated to NMSG activities and NATO CAX FORUM 2018 in-processing/closing activities. For our guests are offered special prices for single room - 115 euros, double room - 140 euros, little suit - 180 euros. You should go on the provided link below and make your reservation. The CAX Forum is the NATO’s CAX-related conference held yearly and the 12th Edition, hosted in Florence, Italy, was attended by more than 250 participants coming from 29 NATO, PfP, ICI, Mediterranean Dialogue and Contact Nations. The 13th Forum will focus on technical items and operating procedures related to simulation - based exercises and training support, in order to promote the exchange of information and best practices among the Staffs of NATO and National simulation/training centers. - Adjunct Prof. Andreas TOLK, Old Dominion University NORFOLK, USA. Commercial organizations directly involved in supporting simulation centers and activities are also encouraged to propose presentations and demonstrations. In this connection, dedicated booths will also be available for the demonstrations of CAX and simulation related products. Full info package you can download from here! The main Forum Registration Desk will be located in the Hotel Marinela main hall. For your convenience, Registration Desk will be active since the day prior the Forum opening, from Monday, September 24th (15.00 - 20.00), to Thursday, September 27th (09.00 - 13.00). Conference Fee: €150 - payment can be submitted to the Hotel helpdesk (cash). To be more familiar with Bulgaria just click on the links provided below in the area which is interested you.